Most people who come to Australia for a working holiday or visit, are not Australian residents. This includes travellers on 417 or 462 visas (such as backpackers). This is because most backpackers, consistent with their visa requirements, do not intend to stay in Australia, but only intend to have a holiday while working some of the time. The ruling from the Australian Taxation Office (ATO) is, the first dollar of income earned by backpackers in Australia is taxed at the working holiday maker tax rate of 15% and up to $37,000 in an income year. This is regardless of their residency status. When establishing your residency status for tax purposes there are some things to consider, such as, what is your purpose for being in Australia? How it does affect your way of life? Do you own a house in another country? For you to be considered an Australian resident, you must demonstrate that your living and working arrangements are consistent with making Australia your home. This means developing routines and customs in your new lifestyle in Australia that is similar to how you would have lived prior to coming to Australia. 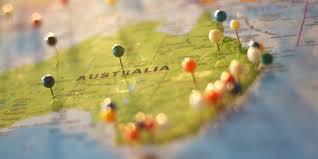 Therefore, you’re not simply in Australia as a visitor or a tourist but are living and working here in a settled way. Other considerations made by the ATO are, you have lived in Australia for more than six months during the income tax year and you intend to take up residency whilst also not having a “home” in another country. For example, you have travelled around Australia for seven months on a working holiday and have a place/household in another country you still consider to be “home” in which your intent is to return to. You would then be considered NOT an Australian Resident for tax purposes. The ATO considers the following, but not just one factor determines whether you’re an Australian Resident, therefore all of the following factors will be considered. Your living arrangements: have you purchased or leased a property to live in, in Australia? This can be different from leasing a property while you are on a working holiday. Your connections to the Australian community: have you signed up to a local club or community such as a sporting club that you would regularly attend? This is different to joining a gym or club to meet other working/holiday travellers to receive discounts on meals or facilities. Assets: do you have valuable assets such as an Australian bank account, personal/household assets, investments or a vehicle in Australia? Family & Relationships: do you have close family or friends who live in Australia that you may intend to support or live with? This is considered different than visiting family whilst on a holiday.